Cupcakes have engendered more food trends that any other dessert or entree. Cupcakes have the flavors red velvet and salted caramel popular. Cupcakes have paved the way for bacon to be incorporated into desserts. 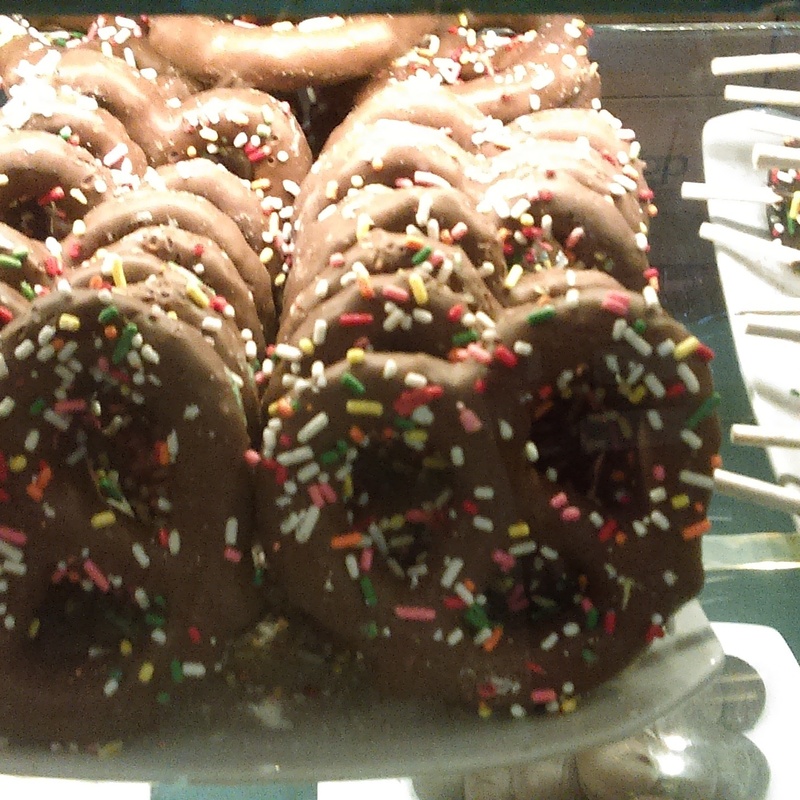 Now, I see sprinkles everywhere. Sprinkles are not new. They have been on cakes, cupcakes, cookies for years. Sprinkles connote celebration. As someone said to me last week, "Sprinkles are the glitter of food." Lately I have been sprinkles in different places, and I like it! 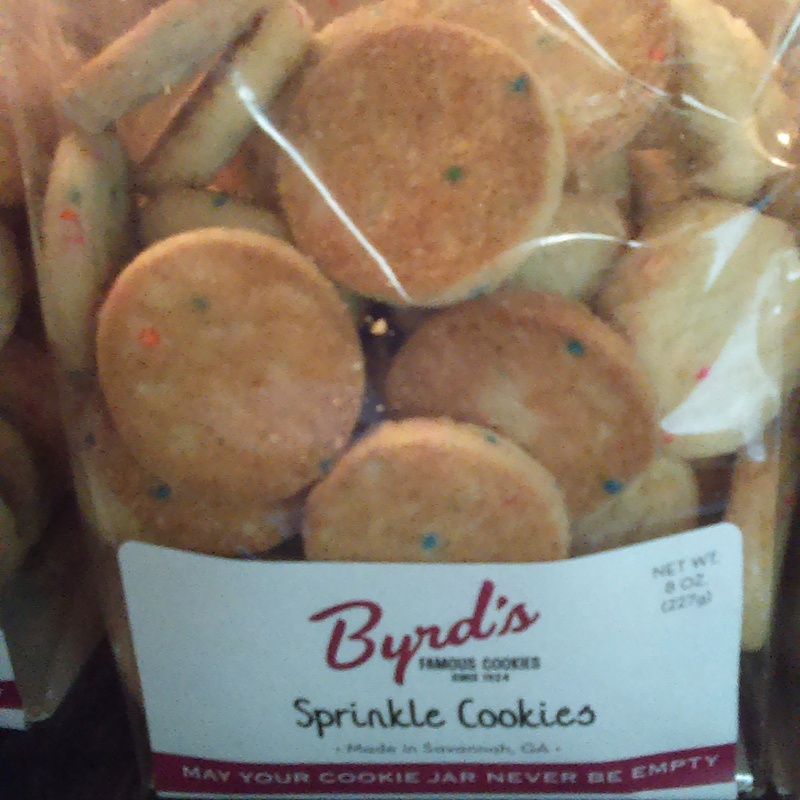 Savannah-based Byrd's Cookie Co has a special summer cookie. It's a sprinkle-baked almond cookie and it is delicious. You can order online as well. 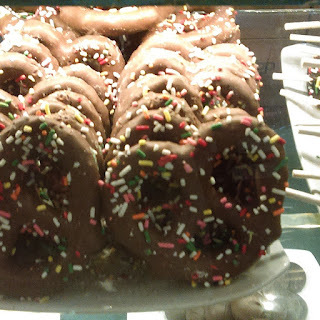 Savannah's Candy Kitchen has chocolate covered and sprinkled pretzels. If you want to make your own homemade sprinkles, it is really easy to do. All you need is confectioner's sugar, egg white, vanilla extract and food coloring. "Sprinkles are the glitter of food" - I love that! !